Chas Jones is with the Affiliated Tribes of Northwest Indians (ATNI) and serves as the Tribal Liaison to the Northwest Climate Adaptation Science Center. Chas is an interdisciplinary expert in the dynamic interactions between climate, water, ecology, and society. He acquired his Ph.D. in Hydrology from the University of Alaska, where he incorporated traditional knowledge and science to assess exposure of indigenous people to the impacts of climate change. In his postdoctoral research at the E.P.A., he assessed hydrologic vulnerability to climate across the continental U.S. 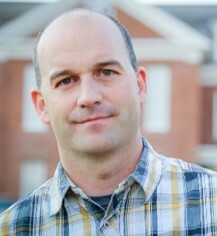 He has also worked as an environmental consultant to develop river and riparian restoration plans to benefit endangered species, during which he developed collaborative partnerships with tribal, local, state, and federal agencies, private business, and academic institutions in the southwestern U.S. Chas also acquired a M.S. in Environmental Science and Policy and a B.S. in Biology from Northern Arizona University, where he studied the ecological impacts of dams and the potential restoration of rivers through the removal of dams. Chas also has a record of success in writing grants and technical writing, skills he is able to use as the Tribal Liaison for ATNI.